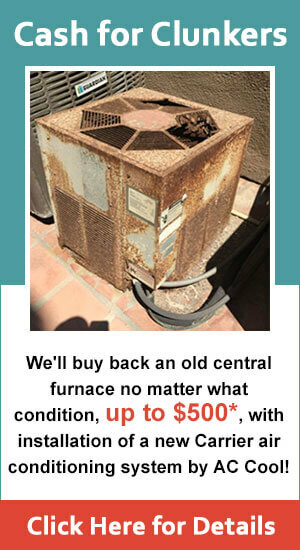 AC Cool is an award winning HVAC contractor that provides Orange County with expert heater/furnace installation services at very competitive rates. We have served tens of thousands of homeowners and businesses for nearly three decades and earned a reputation for offering exceptional quality products and services at fair and honest rates. At AC Cool, every home heating system is installed by our own NATE certified, factory trained HVAC technicians. Our techs are highly skilled and knowledgeable, and supervised by the owner, Paul, who has more than 30 years of experience. 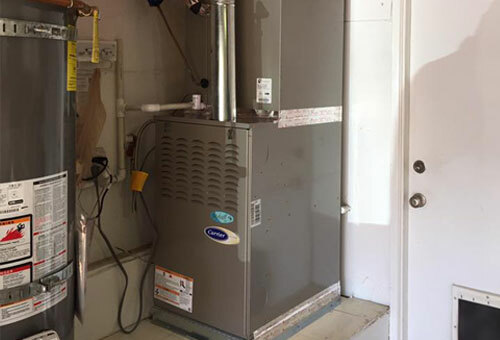 When on site, they will work neatly and efficiently, and follow the industry's best practices to ensure that your new furnace is expertly installed and operating at peak performance. 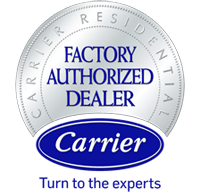 By having such well qualified staff with a proven track record of satisfied customers, AC Cool has earned the distinction of becoming a Carrier Factory Authorized Dealer. As a Carrier Factory Authorized Dealer, we're able to give our clients access to Carrier's line of highly efficient gas furnaces, which allow you to warm your home effectively while keeping your utility bills low. Most are ENERGY STAR qualified with AFUE ratings of up to 98.5%, and all come with QuieTech noise reduction, pilot-free PowerHeat ignition, and a 10-year parts limited warranty. Moreover, when these impressive machines are installed by a Carrier Factory Authorized Dealer, they are backed by a 100% satisfaction guarantee for an entire year after installation. Whether you are looking to replace an old and inefficient furnace or wish to add heating to a room addition, our experts can help. When you call, you'll speak with our highly experienced Comfort Advisor who will ask you about your heating goals, concerns, and budget, before setting up your FREE no-obligation, in-home consultation. The in-home consultation is critical to correctly advising any homeowner on the best system for their needs. During this visit, our indoor comfort expert will assess the size of your home, inspect your ductwork and measure the air loss, and review your most recent utility bills. Before making any recommendations, your Advisor will also take into consideration any special circumstances or concerns, such as allergies, hot or cold spots, etc. Once the assessment is complete, we will make our final recommendations for your heater/furnace installation, and review any available rebates and tax incentives with you. If you are interested in financing, we are an approved HERO contractor, and we also offer Wells Fargo financing on approved credit. As a full-service air conditioning and heating company, we can also install and replace ductwork, central air conditioners, heat recovery ventilators, whole home fans, thermostats, and indoor air quality products, such as UV lights, electronic filters, and air purifiers.